Microsoft today launched 'Bing Translator' App for Windows devices. The App can translate upto 40 different languages and has been built from scratch by the Microsoft engineers. 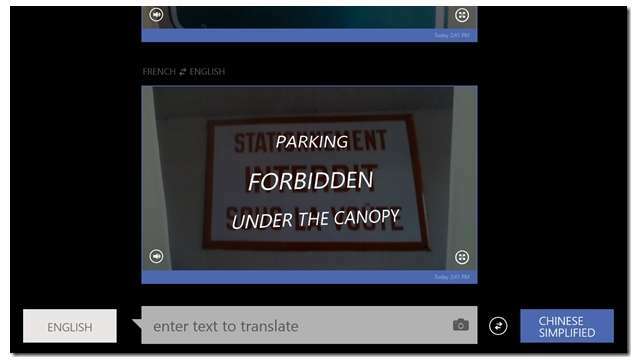 All you have to do is to download the App on your Windows 8 or RT device and point the camera of the device to the printed text and the have the translation automatically placed over the video stream. If you remember the Google Translator works on similar engine. Read about the Google Translator here. 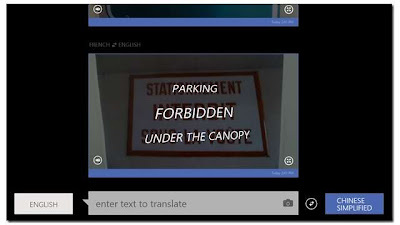 Google had updated the Google's Translator App in March to translate text by pointing the camera to the text. The Google Translator App could translate vertical Chinese, Japanese and Korean text. Coming back to the Bing Translator App it gives the users the option to type to translate with their keyboard and then hear translations spoken with your accent. Bing Translator App comes with Offline language pack(just like Google) which can be used at places where you have no access to internet. This is one useful App all Windows 8 and RT users should have on their PC. To download the App visit here. Hi Vijay, Came here through IndiBlogger, I quite like the information available on your blog. There's so much to read! Wow, the app can be used without the internet. Really the bing translator app has some of the awesome features. Useful list of information shared above.